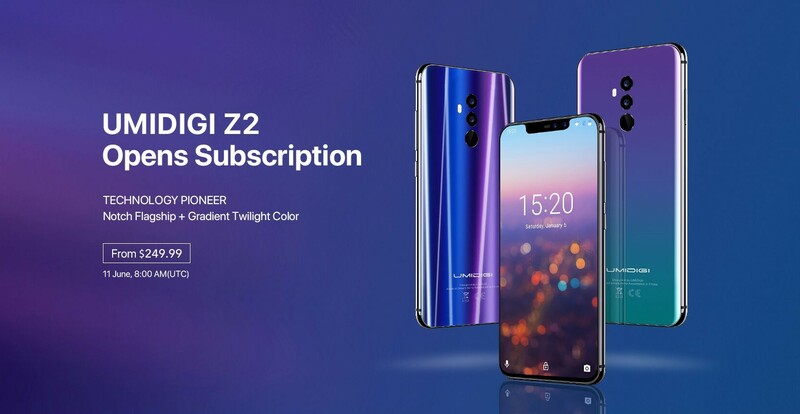 UMIDIGI Z2 now opens presale subscription on official UMIDIGI site. Presale UMIDIGI Z2 will start on 11th, June 2018, 8:00 AM(UTC) from $249.99. Why should we buy UMIDIGI Z2 smartphone via presale? Because after presale period the price for UMIDIGI Z2 will be gone up to $299.99. 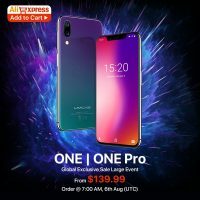 But if you subscribe presale and will be notified on 11th June, you can get $50 off and buy UMIDIGI Z2 with final price at $249.99. UMIDIGI Z2 series adopts 6.2” 19:9 Full HD+ Full-screen display; Z2 Pro’s Helio P60 chip which supports AI artificial intelligence while Z2 powered with Helio P23; In addition, Z2 series is equipped with front and rear dual camera 16MP+8MP in both sides. It supports 7 internet modes and 36 global bands, NFC and Android 8.1. By using UMIDIGI Q1 wireless fast charger, UMIDIGI Z2 Pro accepts wireless charging power up to 15W, with its help UMIDIGI Z2 Pro with 3550mAh battery capacity could be fully charged within 100 minutes. Both smartphone UMIDIGI Z2 and UMIDIGI Z2 Pro support 18W fast wired charging. UMIDIGI Z2 with 3850mAh battery capacity could be fully charged within 80 minutes, while UMIDIGI Z2 Pro could be fully charged within 70 minutes. We are recruiting 10 trial users globally to give away 10 units UMIDIGI Z2 Pro & UMIDIGI Q1. Every trial user will get one unit UMIDIGI Z2 Pro and one unit UMIDIGI Q1 for free! Giveaway will be ended on 11th, June 2018, 07:00 AM(UTC), and the winners will be announced immediately. And exactly after one hour end of the giveaway the UMIDIGI Z2 presale will be started at Gearbest from $249.99! 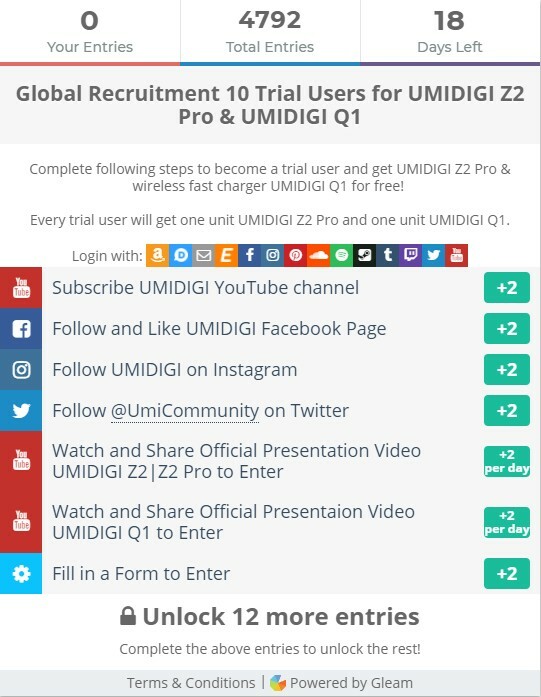 To become a trial user and be notified of presale please visit http://bit.ly/umidigiz2pro. UMIDIGI Z2 Pro Opens Subscription and Give away 5 units Luxury Ceramic Edition!